Can we do Reverse Aging in the Brain with Dancing? It's Possible. 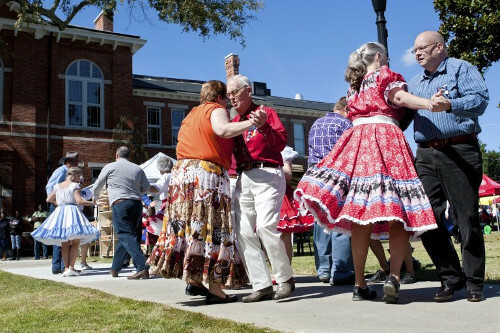 Home » Brain Function » Reverse Aging in the Brain with Dancing? What do you do when you get some good news? A little shimmy? A little shake? People feel good when they dance, and some new data shows that it could even protect your brain from aging. Now, if that isn’t news that makes you want to get up and a bust a move, I don’t know what is! Imagine being able to potentially reverse aging in the brain with some simple (and fun) activity. Why Does the Brain Slow as We Age? There’s no doubt that your brain slows down with age—neuroscientists and almost everyone over 40 can justify such a claim. The speed at which your brain processes information, responds to it, and stores it seems to drop off with age. Studies have shown that people over 40 tend to perform worse on brain-processing tests. The reason for this likely has something to do with the degeneration of “white matter.” Without going too far into it, white matter essentially consists of groups of cells in the brain that communicate with each other. With age, white matter degenerates and becomes less efficient, affecting your brain function. Can Physical Activity Speed Mental Processing? Knowing that physical activity can improve processing speed and provide anti-aging benefits for the brain, researchers at the University of Illinois Urbana-Champaign looked at what effect—if any—different types of exercise had on the integrity of the brain’s white matter. Basically, they were looking to see what activity had any potential to reverse aging in the brain. Researchers recruited 174 healthy people in their 60s and 70s to participate in the study. For the most part, they were all sedentary and had no existing cognitive conditions. Each participant had their fitness level and brain functionality tested—including their brain’s processing speed, using an MRI machine. Then, they were randomly assigned into one of three groups: brisk walking three times per week for one hour; gentle stretching and balancing three times per week; and country line and square dancing for one hour, three times per week. White Matter Restoration: Can it Reverse Aging in the Brain? After six months, researchers conducted follow-up brain scans. And they found that the dancing group was the only group that experienced white matter restoration! Even more interesting, though, is that the improved white matter didn’t necessarily translate into improved results during the follow-up processing scans. Members of each group made improvements, showing that regardless of what type of activity a person performs, it’s good for the brain. Perhaps the white matter improvements occurred because the participants were learning something new and relatively complicated. The choreography required them to take specific steps at certain times, something that’s not required during brisk walking or stretching classes. Quite simply, there was more going on and more to do with the dance classes. So, the moral of the story here is to get active. No matter what type of exercise you choose, the effects on your brain will be highly beneficial…you might even be able to reverse aging in your brain. And if you want to increase the benefits, find a dance class nearby…if you need another excuse to get out and have a good time! Reynolds, G., “Walk, Stretch or Dance? Dancing May Be Best for the Brain,” The New York Times, March 29, 2017; https://www.nytimes.com/2017/03/29/well/walk-stretch-or-dance-dancing-may-be-best-for-the-brain.html?smid=fb-nytimes&smtyp=cur&_r=1, last accessed April 3, 2017.